Welcome to the National Institute for Educational Development (NIED), a directorate within the Ministry of Education, Arts and Culture (MoEAC). NIED was established in 1990 to be a curriculum development centre with a responsibility for spear-heading Basic Education reform and development. NIED has been an important Ministry organ for basic education curriculum design and development; as well as co-ordination of continuing professional development of educators since independence. We are proud to be an integral part of the educational service. NIED has an active involvement in education in the country through networks and partnerships. 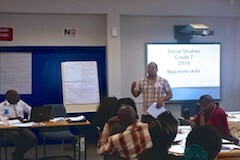 Some of these are with teachers, schools, resource centres, environmental education centres, other directorates and institutions. 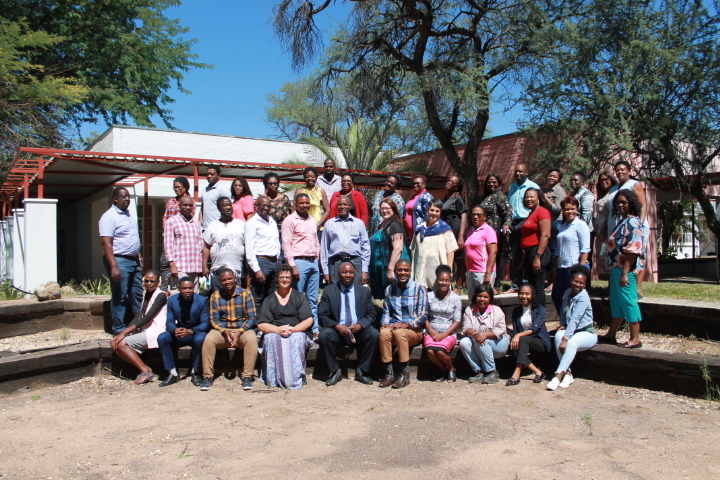 NIED also links up with top national resources in education such as the University of Namibia and Polytechnic of Namibia(now renamed the Namibia University of Science and Technology). Other linkages include ministries, non-governmental organizations, unions, employers, and more. NIED is also part of several international networks for educational research and development. NIED is headed by a Director, and has two main divisions. One division is for Curriculum Research and Development, and the other is for Professional and Resource Development. The Administration is under the office of the Director and consists of finance, transport, hostel and registry office. The Curriculum Research and Development Division consists of six (6) sub-divisions while the Professional and Resource Development Division consists of three (3) sub-divisions. development and revision of national curriculum policy documents. development and revision of school curricula and syllabuses. development and revision of teachers' guides and training manuals. development of subject-specific teaching and learning materials. 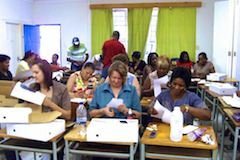 evaluation of teaching materials to be used in Namibian schools. small-scale research to inform curriculum and syllabus revision. continuous professional development for curriculum implementation. development and revision of programmes for teacher continuous professional development. professional development of TRC staff members. policy and evaluation research to inform the reviews of programmes/policies. printing, layout and distribution of curriculum materials to schools, and Teachers' Resource Centre. NIED website and Information Technology (IT) infrastructure.